Won a Lakeside ranking event this weekend despite being a PDC Tour Card holder! What a guy! Post your appreciation for the big man here. I am celebrating by having some moussaka for lunch, washed down by some ouzo. And then I will throw the plate on the floor and smash it. Loving this. You can hear the high-pressure steam jetting out of Ross Montloyalty's ears from hundreds of miles away. Don't forget Parletti who beat Robbo in the main event. Can we keep this thread for appreciation please, and only that of the big Greek fella. Thank you. If you want to appreciate the scrounger who couldn't be arsed to get travel insurance, start yer own thread. Currently lisetning to a bit of Demis Roussos whilst watching a repeat of Stefanos Tsitsipas beating Roger Federer last week. John on the podium with this year's lakeside debutant Karolina Podgorska. Just think of all the taramasalata he could buy with €1300!!! Like BDO players playing in a PDC ranked event at the Grand Slam? Decent standard of final for the prize money. Well if they didn't want him to play they should have stuck a camera up. 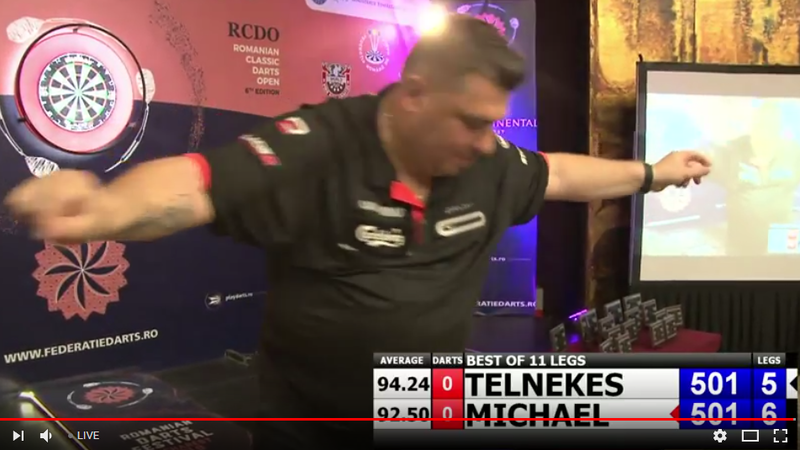 I can't wait for the BDO players to play in the first PDC Pro Tour event in a few weeks because they can play in whatever code they wish...oh hang on...! Yes they can, but they have to earn their place (ie a tour card). So they can just fill in their entry form and turn up in a few weeks then?? Don’t moan as it’s supposed to darts for all but it’s clear that some players instead think it should only be darts for those not good enough to win your cards. What happened to Darts for All? Montloyalty will be moaning to the Daily Record. Headline - "A Feta Worse Than Death"